The United Farm Workers, founded by Cesar Chavez and Dolores Huerta, is the largest farm worker union in the United States. Through nonviolent tactics such as boycotts, pickets, and strikes, the UFW brought the struggles of farm workers out of the fields and into cities and towns across the country. This movement of farm workers organizing for better pay and safer working conditions has continued to grow since 1962. Currently, the UFW organizes in major agricultural industries nationwide and continues to win contracts for worker protections. The UFW has been the driving force behind the farm worker movement in the United States, inspiring farm workers across the U.S. to organize, mobilizing allies in the struggle, and spreading the “¡Sí se puede!” (yes it can be done) message. In 1962, Cesar Chavez, who came from a family of very poor farm workers, began traveling through the central valleys of California meeting with groups of farm workers in their homes. 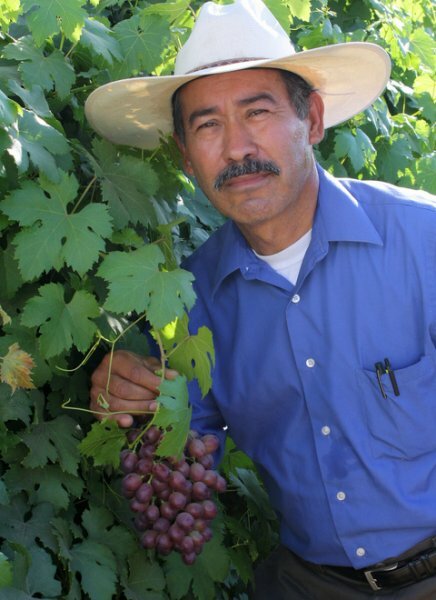 When grape workers in the Delano, CA area walked out on strike against their growers in 1965, Cesar and the farm workers he’d been organizing with joined the strike. This Delano Grape Strike lasted 5 years. In 1966, Chavez and a group of strikers set out on a 340-mile march from Delano to Sacramento to draw attention to plight of farm workers, and during this strike the union won its first contract. Thousands of supporters joined the marchers. In 1967, the UFW began a boycott against all California table grapes, igniting faith-based groups, unions, and community organizations to join and publicize the boycott. During this time, the Civil Rights movement in the U.S. had increased the general public’s awareness of the effects of racism. This climate of higher political consciousness contributed to millions of consumers joining the boycott (a nationwide poll in 1975 estimated 17 million Americans were boycotting table grapes). Throughout the struggle, Cesar Chavez remained dedicated to principles of nonviolence, including fasting for 25 days in 1968 to demonstrate this commitment. In 1975, UFW won the passage of the Agricultural Labor Relations Act, a landmark agreement recognizing the right of farm workers in California to organize. Since 1962, the UFW has continued to grow and win important victories for farm workers in agricultural industries across the U.S. The UFW continues organizing in the fields as well working legislatively to improve farm workers’ lives. 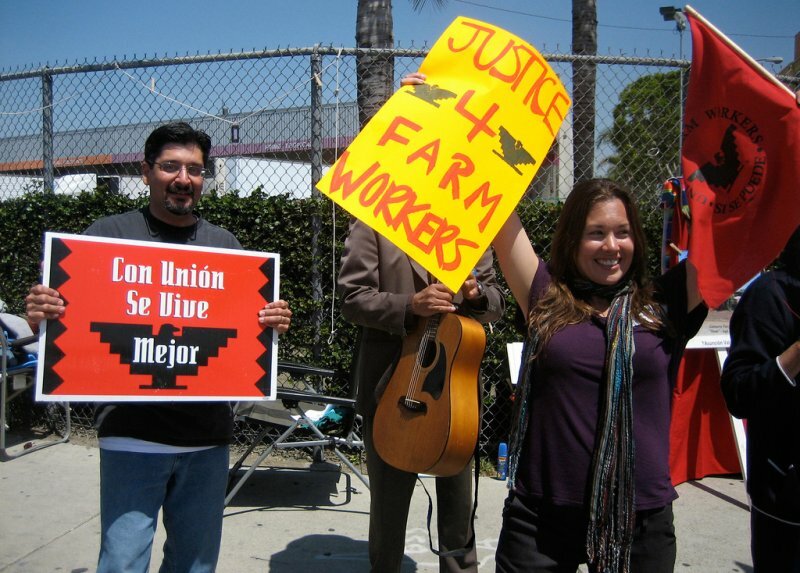 The UFW is organizing workers throughout California, as well as in other states. Particular emphasis is currently placed on the thousands of farm workers in the grape industry in the Central Valley. Giumarra is the largest table grape grower in the U.S., employing approximately 2,500 grape workers in California. Giumarra has a shameful history of abusing farm workers, including intimidating and bullying workers and violating their rights. At this time, there is not a consumer-oriented campaign related to these efforts. Ruby Ridge is a member of a large dairy co-op that markets its milk and butter under the Darigold brand in stores throughout the western U.S. Workers at Ruby Ridge Dairy reported a climate of fear and intimidation in which they were forced to work overtime, were denied lunch and bathroom breaks, and were not provided clean water. When workers began circulating and signing union cards, ten of them were fired. UFW along with the National Farm Worker Ministry, the Oregon Farm Worker Ministry and other allies have been making efforts to get the owners of the dairy or Darigold to talk to them about improving the conditions at Ruby Ridge. Thus far, neither the dairy or the co-op have responded to calls from the workers. NFWM supports the United Farm Workers (UFW) and the Cesar E. Chavez Foundation campaign for a Cesar E. Chavez National Holiday. Cesar Chavez was the founder of the United Farm Workers. He led the historic non-violent movement for farm worker rights and dedicated himself to building a movement of poor working people. He also inspired millions of people who never worked on a farm to commit themselves to social, economic and civil rights activism. Cesar’s legacy, like the legacy of Dr. Martin Luther King Jr., continues to educate, inspire and empower people from all walks of life. He is a role model for all Americans and for generations to come. Please help us ensure all Americans learn about Cesar’s life and work. 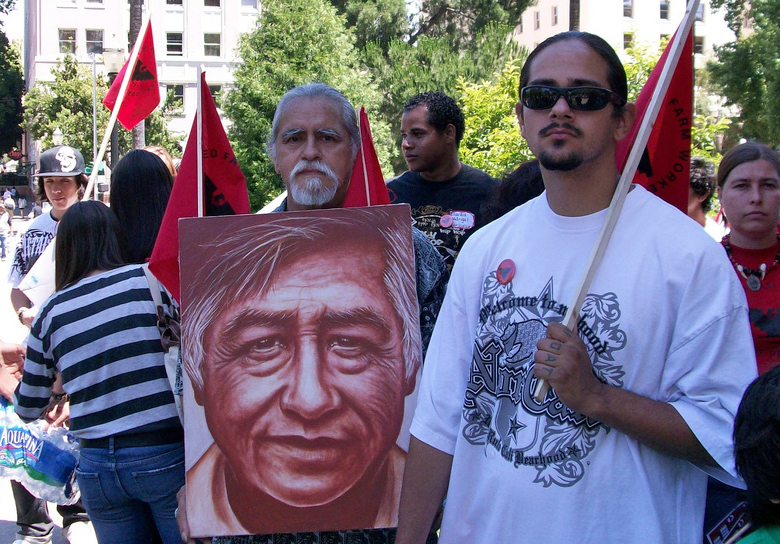 Ask Congress to designate March 31, Cesar’s birthday and the day UFW was founded, as Cesar Chavez Day. Sign up to receive our Action Alerts and newsletter to be notified about upcoming opportunities to take action in your area. Sign the petition to designate March 31 as Cesar Chavez Day. Visit UFW’s website to learn more about the UFW and their campaigns. Content provided by NFWM-YAYA Staff.